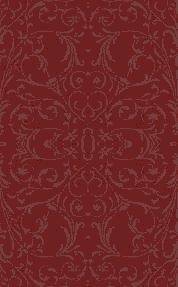 Creating a signature is fairly easy! Let's walk together through the steps! If you have not created an account, be sure to read our article on how to do that before proceeding. If you have created an account, you will want to click on Login. You will enter your username and password, then click Login Now. You will then be brought right back to the posting board you were at. Step 2: After you've logged in you will need to click Post now, in the other corner of the posting board, or hit respond to any of the posts already on the board. Once you do, you will see your login name up at top. If you have logged in within a post, your name will not be in the "Name" area of the posting box. If you logged in after you hit respond or post now, you will need to type in your name. You can also add your email if you like. This will only appear in link form with your login info up in the corner of each post. Step 3: Type in the name of your post. If you are simply testing your signature, you can put, "Signature Test". 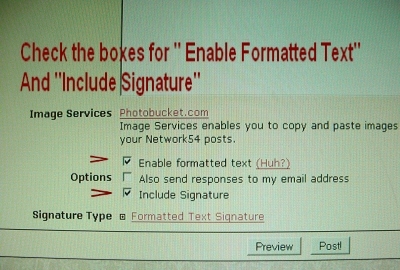 Step 4: Check mark the boxes for Enable Formatted Text" and "Include Signature"
This will open up a signature box where all your information will go! You can add your name, hair type, hair length, hair length goal and the products you use. You will also include any image links from your realm (or click insert object if you have that option with your browser) that you want to appear in each post. Be sure that your photographs and images are not overly large. This way those with dial up service will not be bogged down. 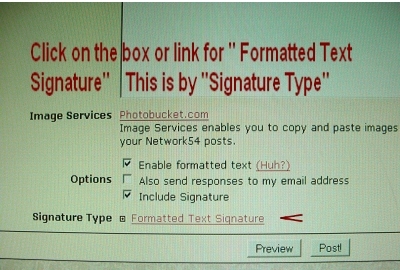 Once you have added all the information you want to post each time, click once more on the Formatted Text Signature link or check mark box to close the signature box area. Step 6: You will now hit Preview to test your signature. Be sure you have something in the posting box, even if it's just a stroke of the space bar, or your post will not go through. Once you've clicked Preview, if all is well, click Post or Respond. If something needs to be changed, you will click on Edit. You will follow the same steps for editing as you would for adding your signature information. Just start with Step 5 once more. You should now have a signature that posts on every post you make! In case of computer glitches, we encourage you to keep a copy of your signature information in a computer folder or file. You can use your signature on any of our discussion boards as well as any other Network54 forum you may visit!